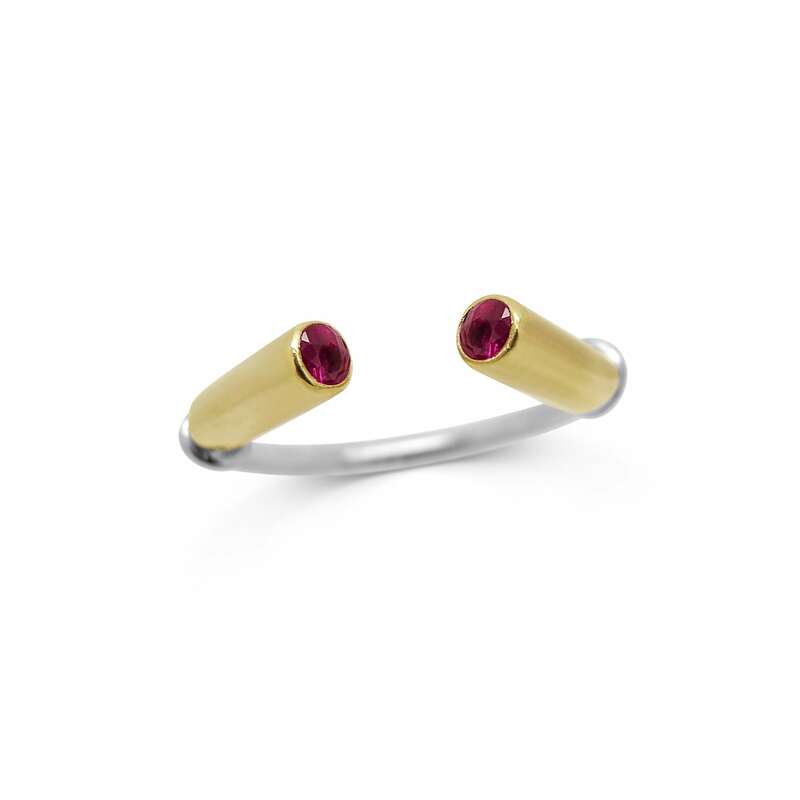 The Ecrat Ring is an edgy split ring, with two coloured stones set either side. 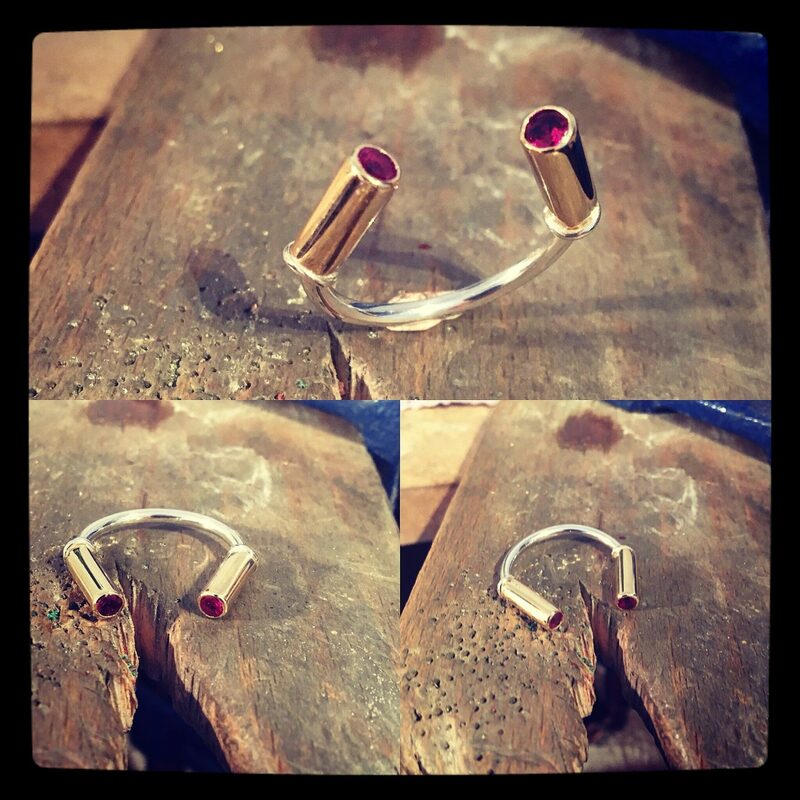 Each ring is individually handmade, and can be pinched smaller or opened up for a larger fit. 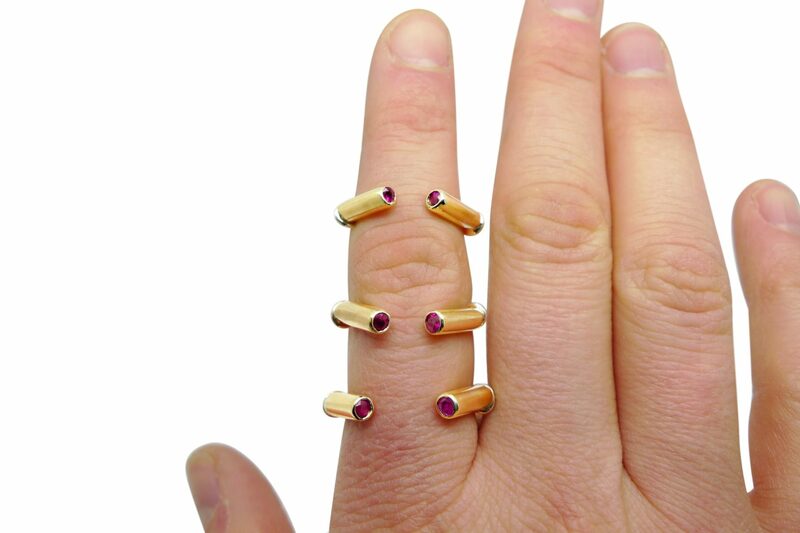 The perfect ring when sizing is a concern, or when you want to wear the ring on different finger. 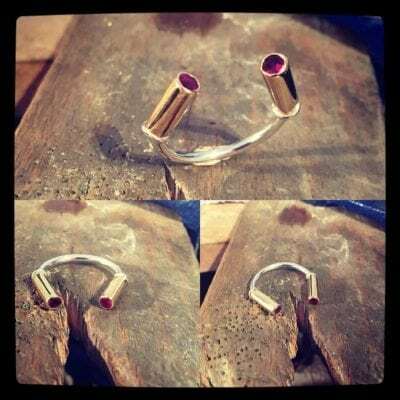 This ring is available in 3 sizes : Small ( J-L ) Medium ( M-P) Large (Q-T) . 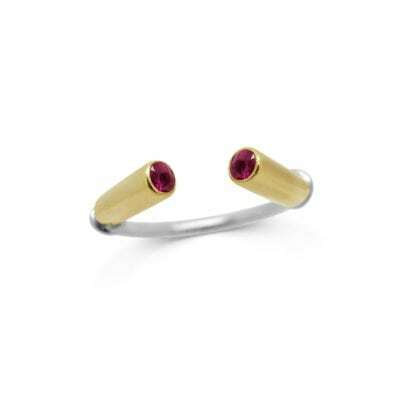 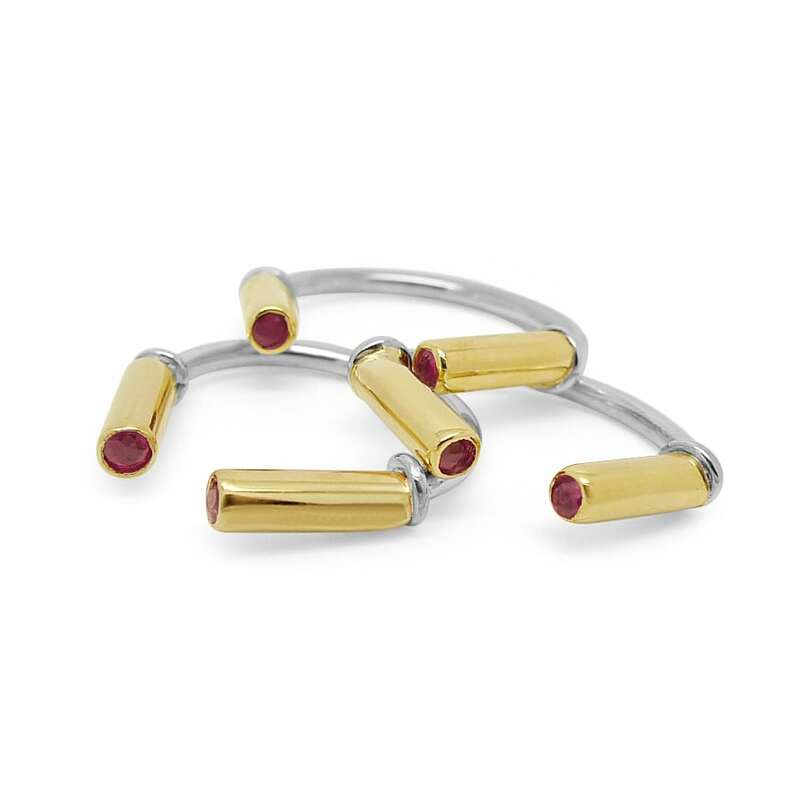 This Ecart ring is made from 9ct yellow gold (settings), with silver shank with two round brilliant cut red rubies. 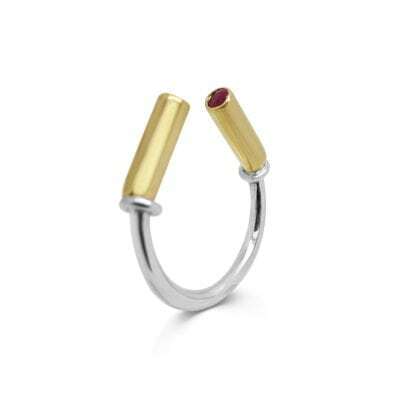 Each ring can be gently pinched in or pulled out to fit the wearer better.